Can't wait to mix some pastels into my usually all-black ensembles! 1. A simple shift dress available in a whole banana bunch of colors and prints. Like Pokémon, you'll want to catch 'em all. Get it from Amazon for $13.99+ (available in sizes XS-XXL and in 15 colors). 2. A denim drawstring dress to pay homage to the leg prisons — erm, jeans — that kept you warm all winter. Thnx for the memories. Get it from Lucky Brand for $55.65 (originally $79.50, available in sizes 1X-3X). 3. A convertible crop top with ruched detailing that lets you adjust the length. Make it a little longer! Make it a little shorter! Follow your dreams. Get it from Nordstrom for $29 (available in sizes S-L and in two colors). 4. 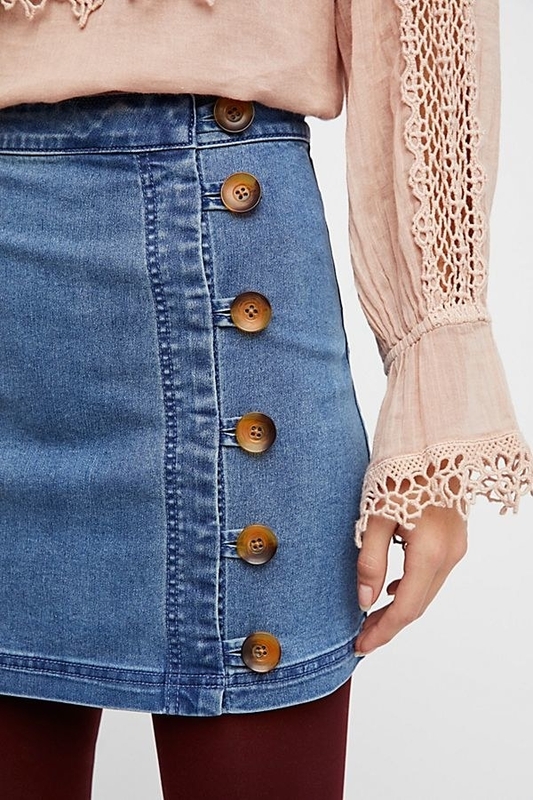 A high-rise denim skirt that will probably make your heart sing. It is a wild thing, after all. Get it from Urban Outfitters for $29.99 (originally $59, available in sizes XS-XL). 5. A batwing blouse that is the perfect transition from days at the office to much-needed after-work happy hours. I shall repeat: much-needed. Get it from Amazon for $12.99+ (available in sizes S-XL and in 12 colors). 6. 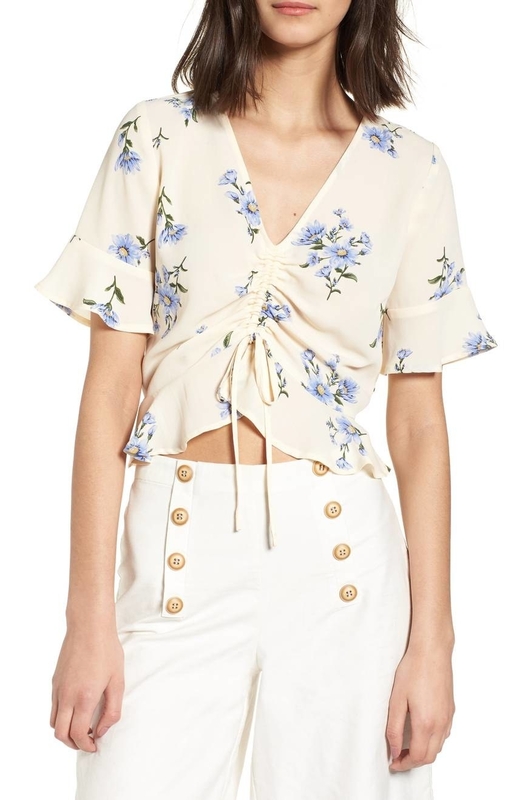 A floral embroidered blouse because SPRING IS HERE and the florals are BLOOMING. Goodbye, naked trees and dead grass. Get it from Amazon for $15.99+ (available in sizes S-XL and in four colors). 7. A cream-colored fitted top you can pair with jeans, shorts, maxi skirts, midi skirt, mini skirts, pencil skirts, a-line skirts. Lots of skirts. That square neckline is 😍. 8. 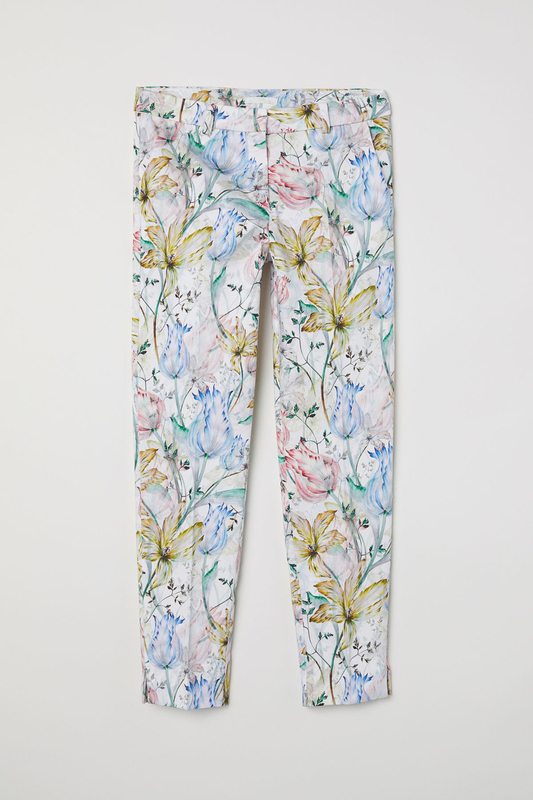 Belted capri trousers sure to ~leaf~ a wonderful impression on anyone who sees you wearing 'em. "Okay, I get it, you love my pants. Now leaf me alone." —you to the paparazzi. Get them from Ashley Stewart for $27.65 (originally $39.50, available in sizes 12-32). 9. 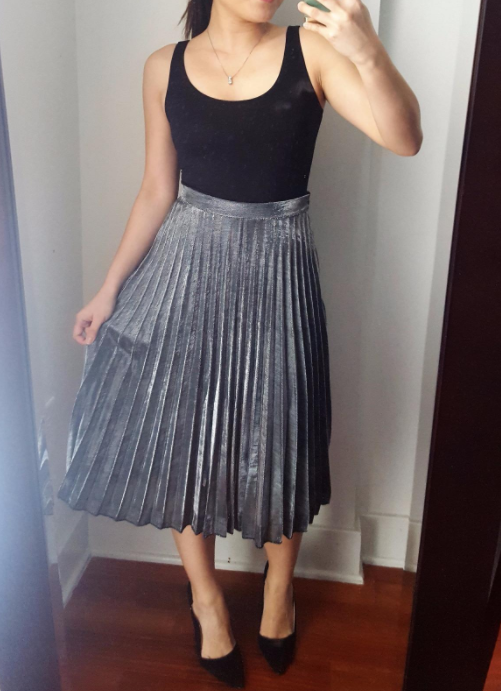 A pleated midi skirt made for Boomerangs. Just spin, snap, post, and BAM. You're guaranteed at least one million likes. Get it from Boohoo for $20.40 (originally $34, available in sizes 2-10 and in two colors). **Hair dye may be required for this transformation. 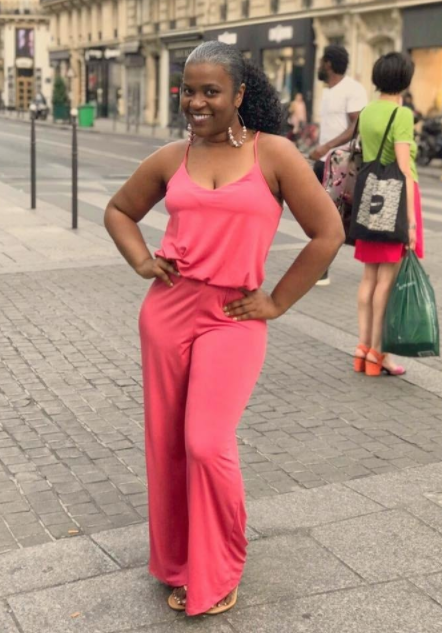 Get it from Eggie Shop for $58 (available in sizes XS-XL and in two colors). 11. A lightweight trench coat in a gorgeous blue color that just might make you swoon. Just be sure to swoon onto a soft surface. Safety first. Get it from Amazon for $39.99+ (available in sizes XS-XL and in three colors). 12. A cropped denim jacket embellished with faux pearls. This look says "my style is effortless and I could probably be a fashion blogger if I wanted to." 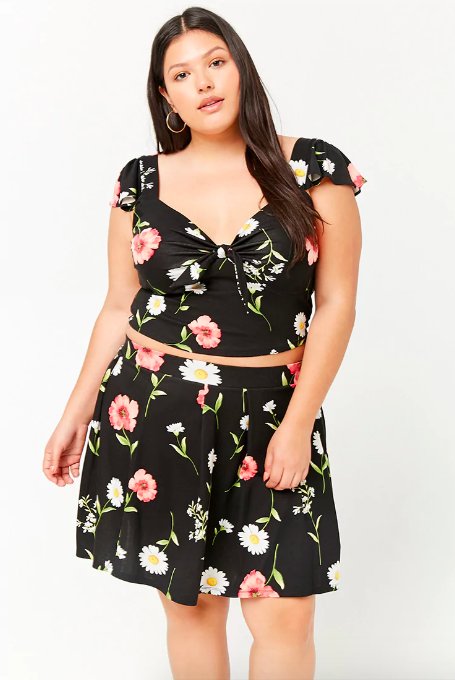 Get it from Forever 21 for $34.90 (available in sizes 0X-3X). 13. A racerback jumpsuit sure to ~jump~ into your shopping cart as soon as you lay your eyes on it. Don't fight it. It's destiny. Promising review: "I'm not really a jumpsuit person, so I bought this on a whim fully expecting it to look silly and be promptly returned. But, when I tried it on, I magically transformed into a 70s disco queen and didn't want to take it off! 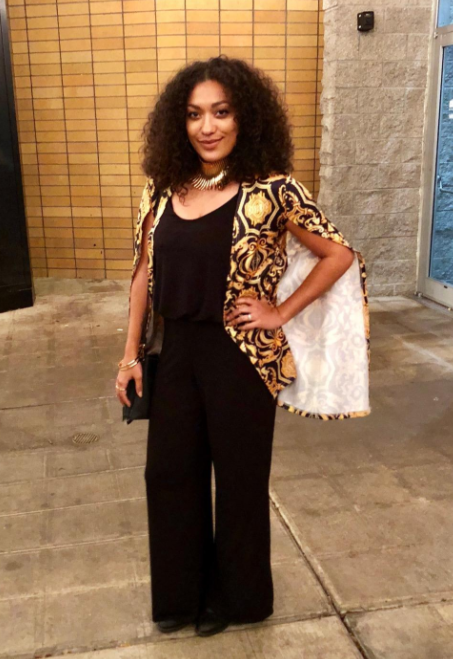 This jumpsuit is stylish without being too out-there or costume-y, it fits nicely, and is classy with a touch of fun. 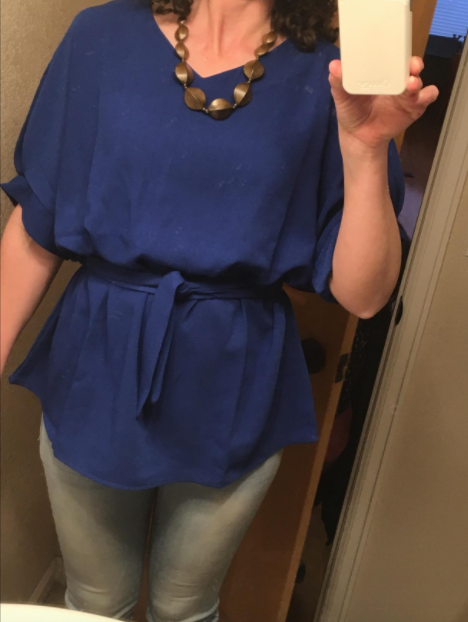 It is long so I'll have to shorten it, but I can't wait to wear this beauty out and about!" —Sally S.
Get it from Amazon for $14.99+ (available in sizes S-XL and in seven colors). 14. A satin wrap cami in a peach blush color sure to make you blush. Why? Everyone will stop and compliment you on it. Get it from Express for $19.99+ (originally $39.90, available in sizes XS-XL and in four colors). 15. 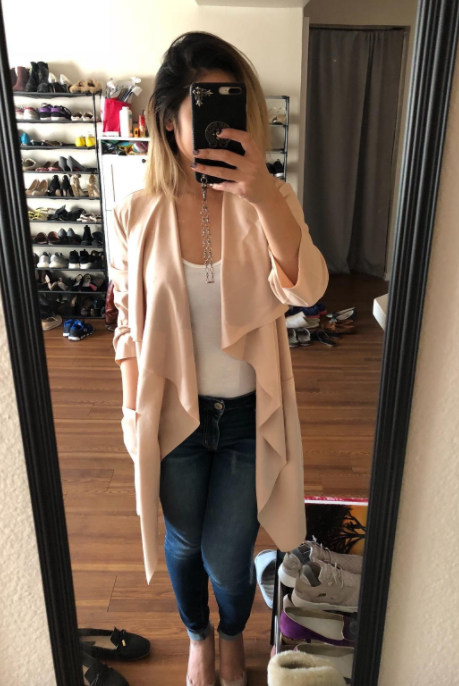 A wrap cardigan complete with a belt that ties around your waist. Who cares about the rumble, honestly? Let's get ready to layer. Get it from Amazon for $21.99 (available in sizes XS-L and in five colors). 16. A peasant dress that absolutely belongs on your "Boho Chic" Pinterest board. Just add some cool booties and you are all SET. Get it from Walmart for $16.84 (available in sizes 0X-3X and in four colors). 17. An embroidered bardot top to let your poor shoulders see some sunlight. They just wanna soak it up, you know? "Never been kissed? More like never been sun-kissed." —my shoulders to me, probably. Get it from Amazon for $24.99 (available in sizes XS-XL). 18. A mustard-colored dress that's already ahead of the style game. Everyone else needs to ketchup with it. Get it from Hello Molly for $67 (available in sizes XS-L). Get it from H&M for $9.99 (available in sizes XS-XL and in seven colors). 20. 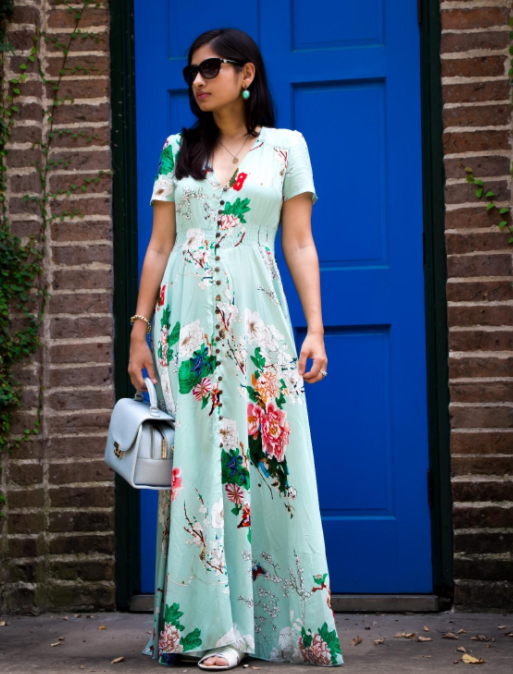 A button-up maxi dress to make you feel like royalty. A tiara is unfortunately not included but hey, whatcha gonna do? Get it from Amazon for $19.99+ (available in sizes XS-XXL and in 33 colors). 21. Pastel-colored leggings for the indoor-to-outdoor workout transition. That's right, friends, the time of going for a jog without freezing to death is here. These leggings have amazing four-way stretch, a waistband pocket to hide your tiny-but-valuable-possessions, and sweat? These leggings will wick it away. AND! You can get a matching crop top. Workout clothes are the best kinds of clothes. Seriously. Get them from Outdoor Voices for $95 (available in sizes XS-XL and in six colors). 22. 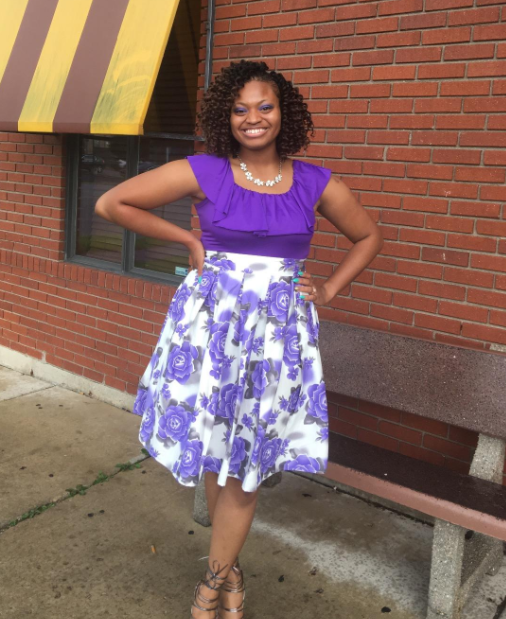 A matching crop top and skirt you can mix and match with a whole bunch of different pieces in your closet. Versatility, folks. Get them from Forever 21 for $12.90 (top) and $14.90 (bottom) (available in sizes 0X-4X). 23. A striped dress because striped sweaters are so last season. I'm sure Spongebob would approve of this change. Get it from Forever 21 for $24.90 (available in sizes S-L and in two colors). Get it from Amazon for $16.99+ (available in sizes S-XXL and in two colors). 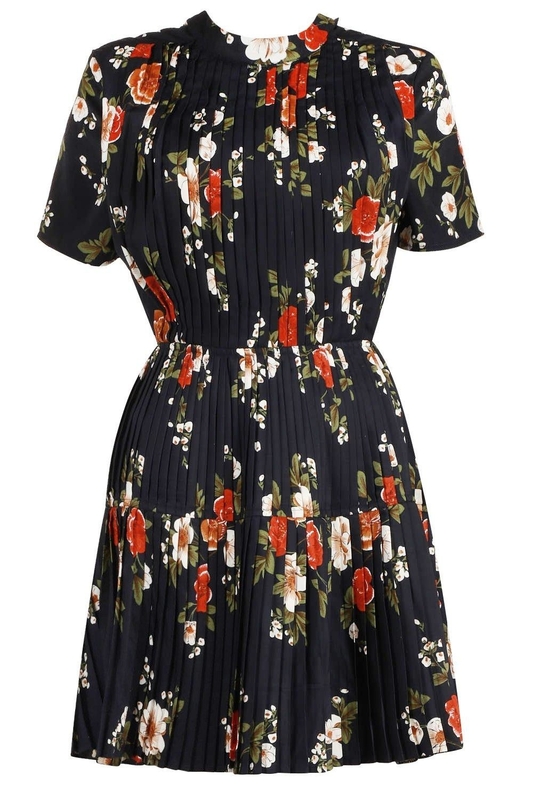 Get it from ModCloth for $45 (available in sizes XS-4X). 26. 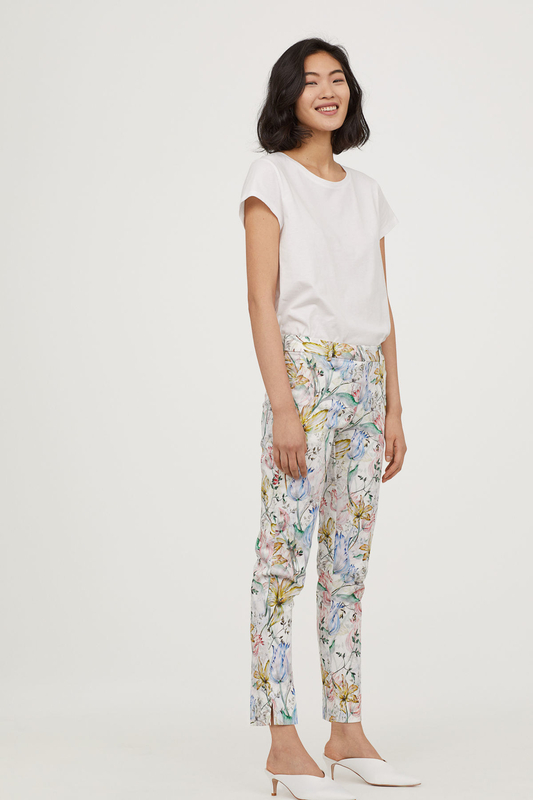 Ankle-length slacks to turn you legs into walking botanical gardens. Plus! They're made from a stretch cotton satin that makes 'em comfy, too. Get them from H&M for $29.99 (available in sizes 2-20 and in two colors). 27. A smocked romper known to inspire some impromptu enchanted forrest strolls. Proof, below. Get it from Urban Outfitters for $29.99 (originally $69, available in sizes XS-L). 28. 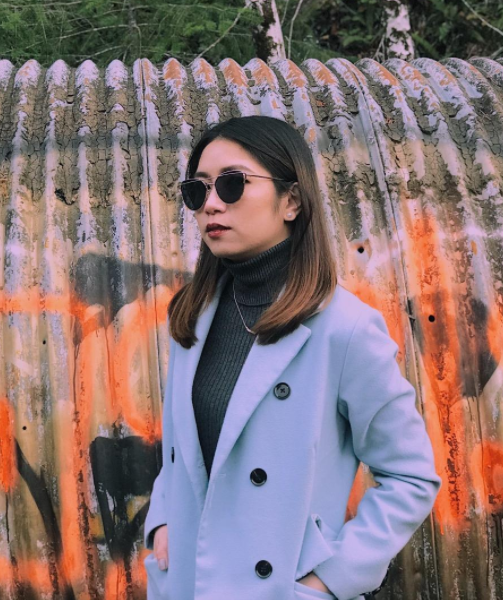 A ruched sleeve blazer that will completely change the way you think. How? Now, you'll just think pink. All the time. Get it from Torrid for $54.50 (available in sizes 0-6). 29. 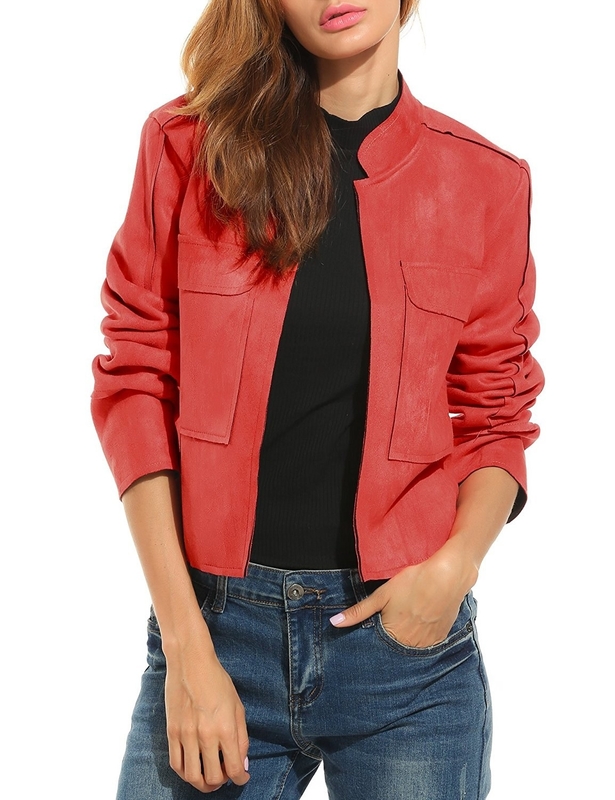 A faux suede jacket you can layer over any ensemble. Chilly weather = no longer a problem on springtime nights. Get it from Amazon for $39.99 (available in sizes S-XL and in three colors). 30. A calf-length dress made from a super soft, super cozy jersey material. Will you want to sleep in this? Yeah, probably. Get it from H&M for $29.99 (available in sizes L-4XL and in two colors). There is an ode to Duckie at the bottom of this article, just an FYI. 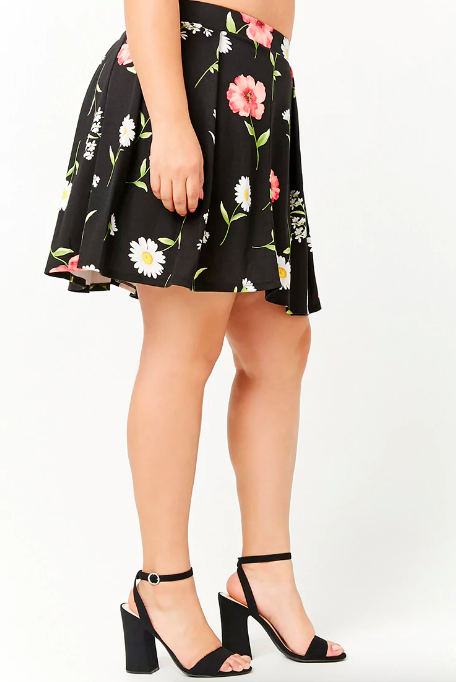 Get it from Asos for $56 (available in sizes 2-12). 32. A pocket tee you'll want to stock up on in every color available. Why? It's the perfect soft, lightweight, you-can-wear-this-all-the-time top. Get it from Everlane for $16 (available in sizes XXS-XL and in 15 colors). 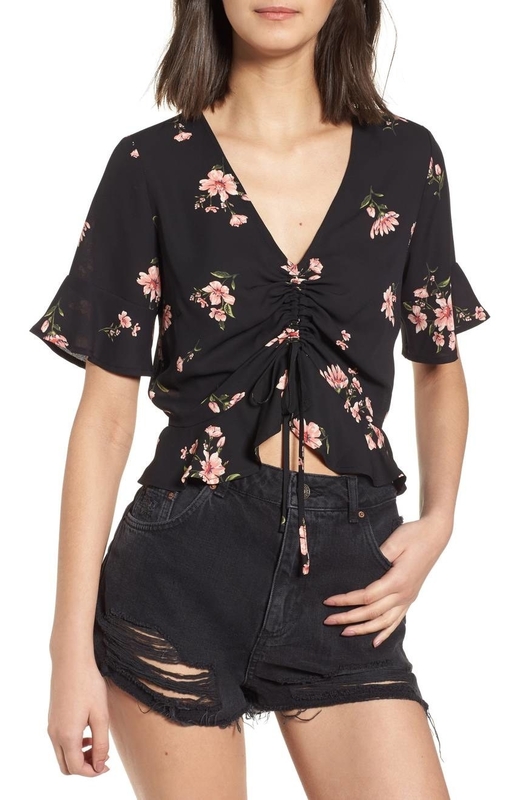 Get it from Forever 21 for $32.90 (available in sizes S-L). 34. A skater dress that is officially changing its name to "sk8er" dress. Apparently, it's obsessed with Avril Lavigne? Get it from Tobi for $34 (originally $68, available in sizes XS-XL and in three colors). 35. 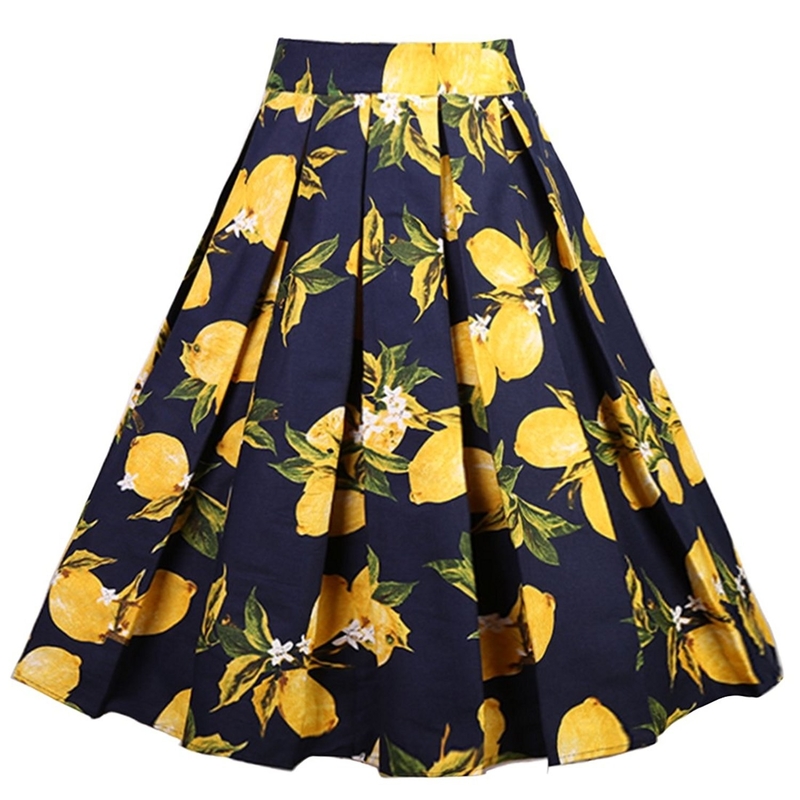 A flared midi skirt available in a whole bunch of colors and kitschy patterns. Lemons! Flamingos! Bananas! Oh my! Get it from Amazon for $9.99+ (available in sizes XS-3X and in 45 colors). 36. 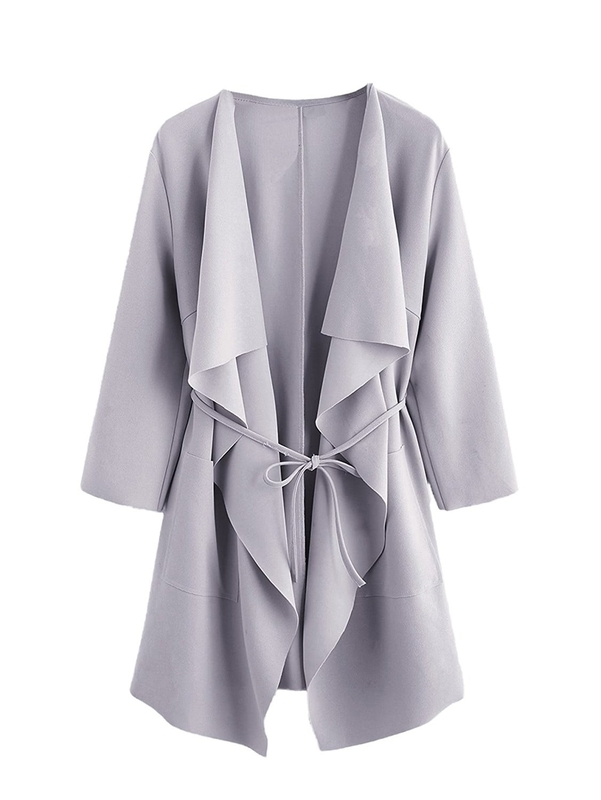 A lightweight duster jacket to protect you from the (very lovely) slight breeze associated with springtime. Wow, are those chirping birds I hear? 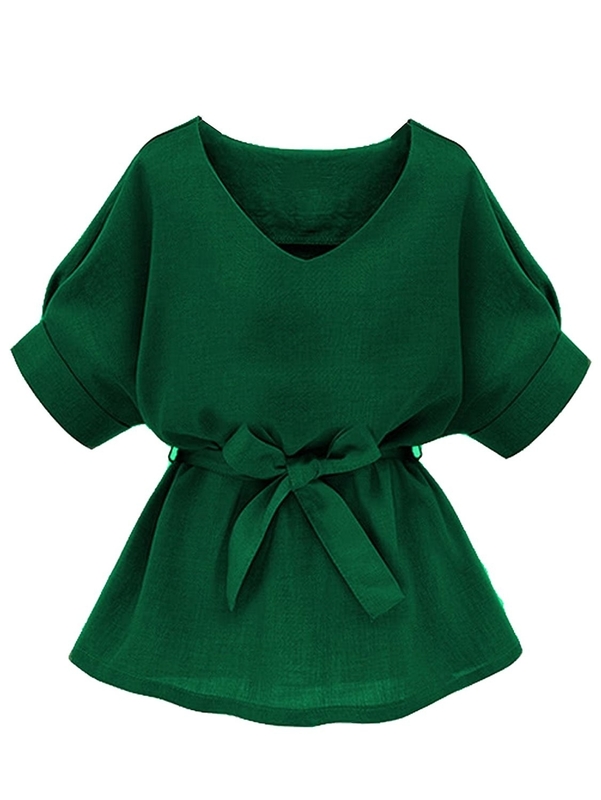 Get it from Boohoo for $29.40 (originally $49, available in five colors and sizes 12-20). 37. 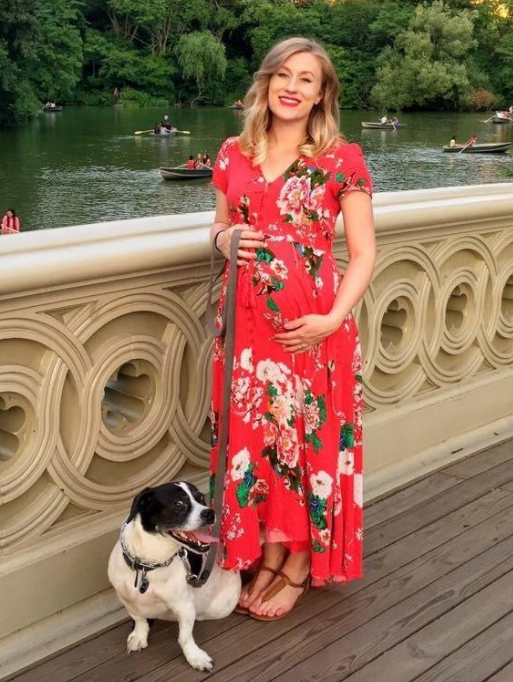 A midi dress with POCKETS (!!!!) that can actually be worn all year long. But for spring? Add a denim jacket and you are good to go. Get it from Amazon for $17.99+ (available in sizes S-XL and in 26 colors). 38. A splurge-worthy gingham dress that wants a trip to the Italian countryside. It wants wine tastings and leisurely bike rides. It wants romance. Get it from Nordstrom for $112 (available in sizes XS-XL). 39. A mini skirt you can pair with any darn shirt in your closet. And hello, adorable little tortoise buttons! 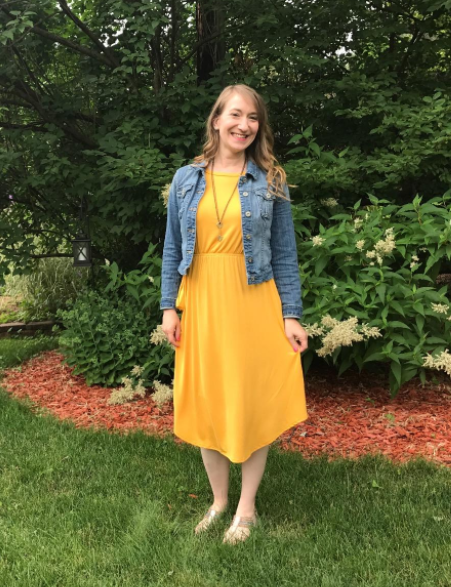 Promising review: "The length of this skirt is good, and the quality is fantastic — it’s made from a soft, cozy material. The buttons are so cute and unique. Definitely worth it! It’s a great staple that you can style to wear with anything! Get it from Free People for $50 (available in sizes 0-12 and five colors). 40. Denim overalls you'll keep in your closet forever. Why? They have great retention, the perfect amount of stretch, and are just so darn cute. Psst, you can even get these monogrammed with your initials! 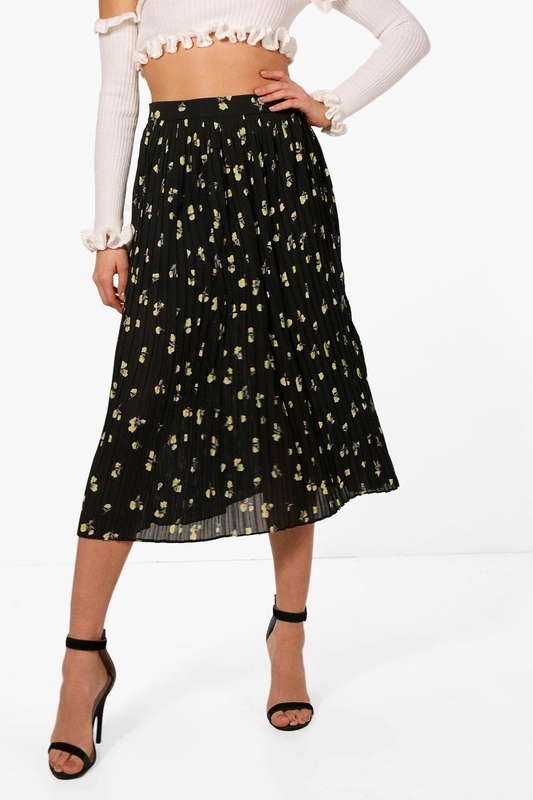 Get them from Madewell for $148 (available in sizes XXS-XL). 41. 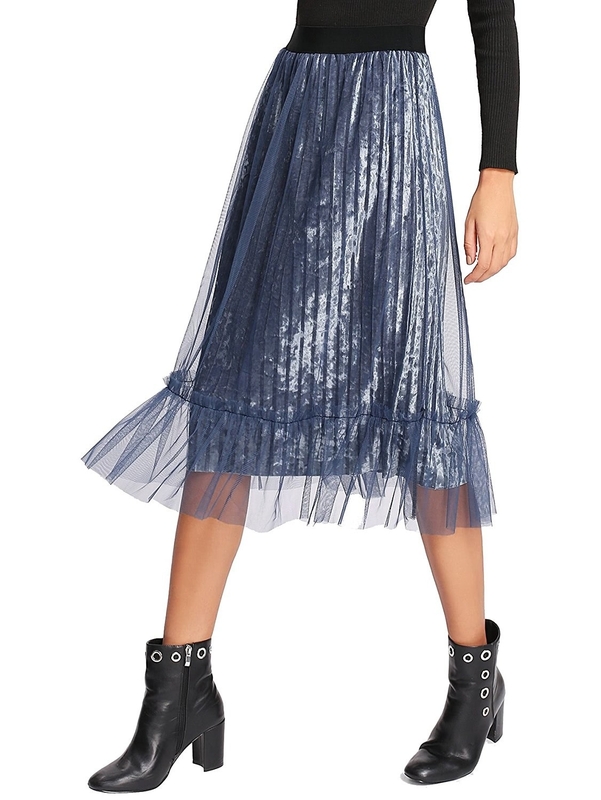 A pleated dress with gorgeous lace-ups that lets your back say "peek-a-boo, I finally see you." Get it from Boohoo for $34.80 (originally $58, available in sizes 4-10 and in two colors). 42. High-waisted pants you can wear to the office AND to those after work drinks with Janet. Get them from Eloquii for $53.94 (originally $89.90, available in sizes 14-28). JOHN HUGHES MADE THE BEST TEEN MOVIES EVER.